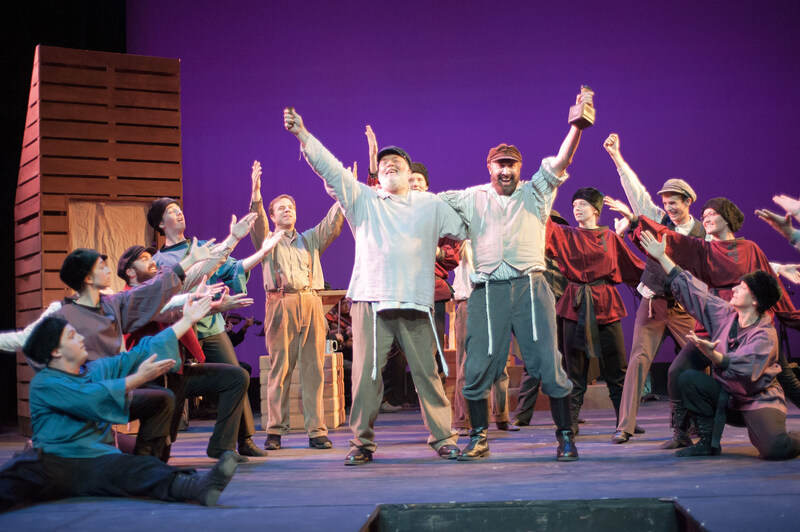 ‘Fiddler’ 2017 breaks all SCP records – L’Chaim! 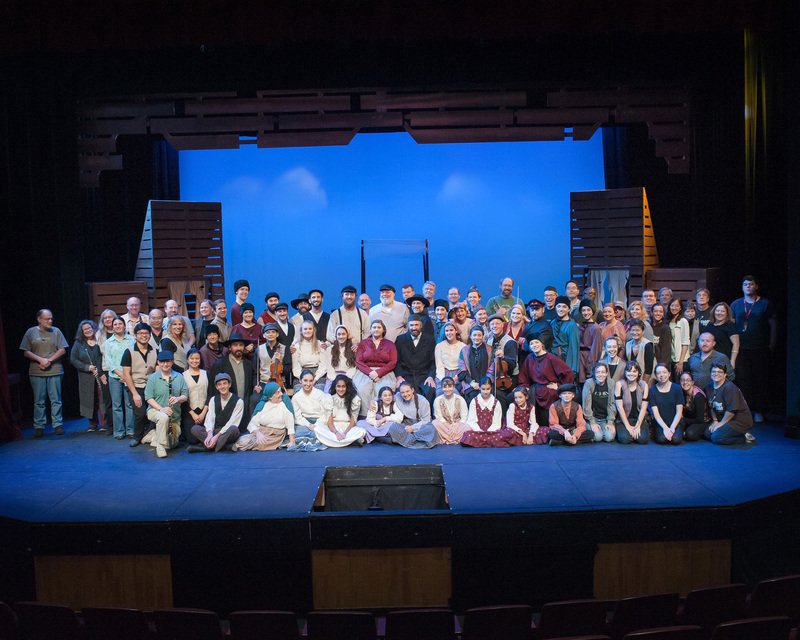 Half-way through, this Sunnyvale Community Players production of Fiddler on the Roof continues to receive not one, but two standing ovations every performance. Not only that, each and every performance of the first two weekends has drawn sold-out houses. Beyond those inside the theatre, many times lines of hopeful patrons formed hoping to take the seats for any no-shows. Tickets for the remaining two weekends (eight performances) are selling quickly. There is a lot to love about this production for both performers and audience members alike. The story is as applicable now as it was in the period depicted talking about traditions, and dealing with the challenges of a changing world. As I wrote in my background pieces promising cheers and tears and tech week chronicles from the pit, this production means a great deal to all of us involved with the show, and for one of our dearest, it is the fulfillment of a life’s dream. This is also the biggest production SCP has ever mounted in several respects including its 38-member cast and its full 25-piece orchestra with every instrument on its own mic. And those spontaneous standing ovations at two separate times every show are unprecedented for a SCP production. The story contains several vivacious moments, as well as some somber reflection as shown in the following tech week video samples. As for the life’s dream, the special video below is from early in tech week. The pictures in the video are still shots of the stage action from scenes throughout the show, and the audio is from a recording session of the John Williams mini-symphony on the second night of tech. The recording session was part of an interview for a major national magazine. This Williams piece was originally written for the 1971 film version of Fiddler on the Roof and was broken up to cover the opening credits, the Entr’acte, and the end credits. We perform this work in its entirety each show as intermission entertainment featuring Eric Sun as he achieves a major life goal playing the iconic Isaac Stern solo violin part. Eric’s virtuosity is impressive, but the thing that makes this production so emotionally charged is that he won’t be around much longer than the show as he is suffering from terminal brain cancer. This run is Eric’s farewell tour. 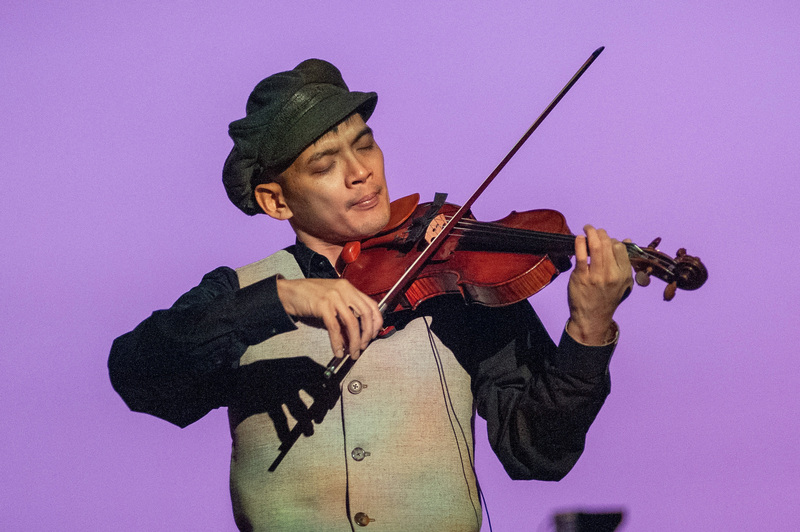 As his final musical act, he will be putting his vintage 1855 Vuillaume violin down after this run to share it with promising young artists through the Eric Sun – Karen Law Vuillaume Fellowship for community-building projects. Like many others in this production, Eric is also an accomplished engineer and worked his way from intern to engineering manager at Facebook picking up several patents along the way. 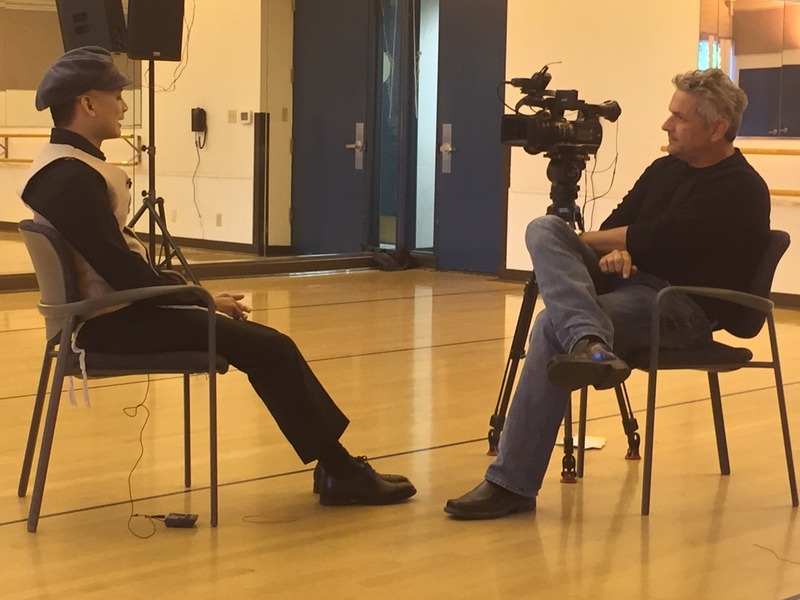 This feature story with NBC Bay Area was filmed the first Sunday of the run, and the piece aired two days later telling how Eric reenergized his music to connect so many others in the community while he still could. Many of the people involved with this production have done the show before in various capacities, but for all of us, this run is by far the most memorable and poignant, and audiences seem to agree. The show continues Thursdays – Sundays through 8 October 2017. Don’t miss this extraordinary production, and get your tickets soon before it’s too late. Tickets are available online through the Sunnyvale Community Players website or by phone at 408-733-6611. Performances are at the Sunnyvale Community Center Theater located at: 550 E. Remington Dr., Sunnyvale CA 94087.